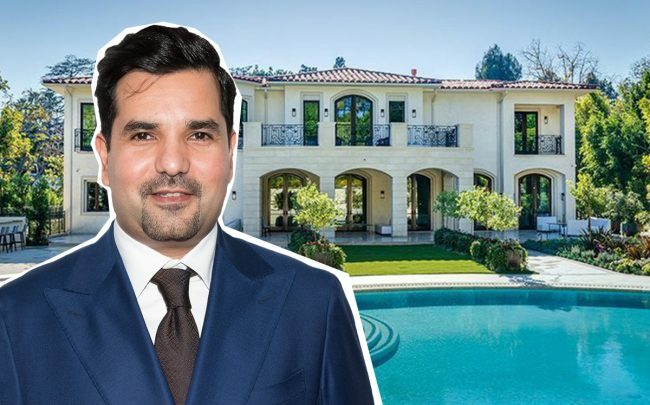 An entity tied to the Consulate General of Qatar has paid $27.5 million for a newly-built mansion in Beverly Hills, The Real Deal has learned. The sale price was 20 percent less than what the estate was initially listed. Developers John Safi of Safco Capital Corporation and Kamran Gharibian sold the home on Laurel Way, deed records show. They also built the estate in 2017, which appears to have been developed on spec. Safi declined to comment. The consulate general’s office, on Rodeo Drive, could not be reached. Spanning 17,400 square feet, the two-story home features six bedrooms and 10 bathrooms. Amenities include a movie theater, wine cellar, gym and wood-paneled library. Outside, a putting green, circular swimming pool with spa and expansive patio space are included in the 39,000-square-foot lot. The property first listed for sale in January 2017 for $35 million, records show. It then became available as a rental for $125,000 per month last summer. The sellers, acting behind LLCs, paid $6.5 million to acquire the land in December 2012, records show. Also in Beverly Hills, the founder of a Chinese media company has listed his home for $32 million. The so-called ‘Upside Down’ house was designed by L.A. architect Noah Walker, and sits on a 3.5-acre property.